If you are looking for a real long lasting matte lipstick that's comfortable, try these new babies by Maybelline. 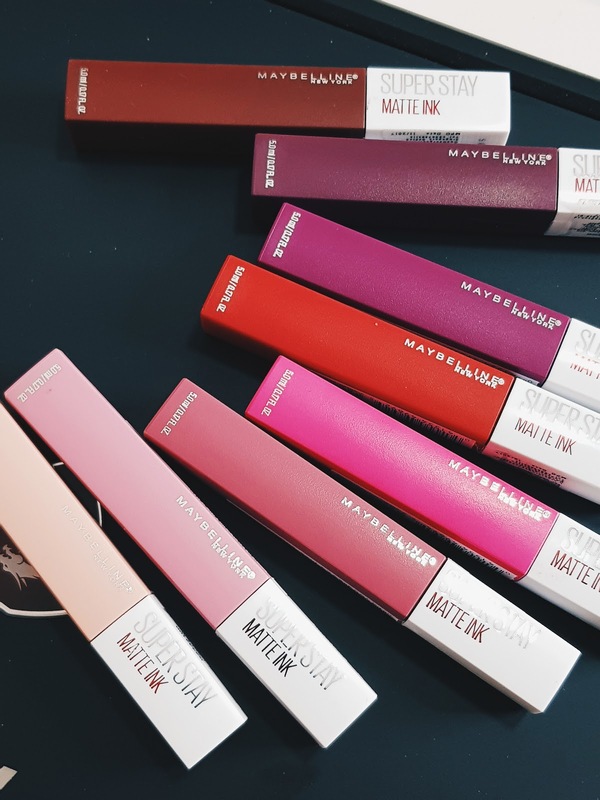 Known as Super Stay Matte Ink, in Malaysia currently we have 8 shades in total and I have all of them swatched. Some colours look better on me than others, no doubt I have my favourites. Packaging is simple and classy. I love that the colour outside represents that colour inside, making it so much easier when searching for our favourite lippie. 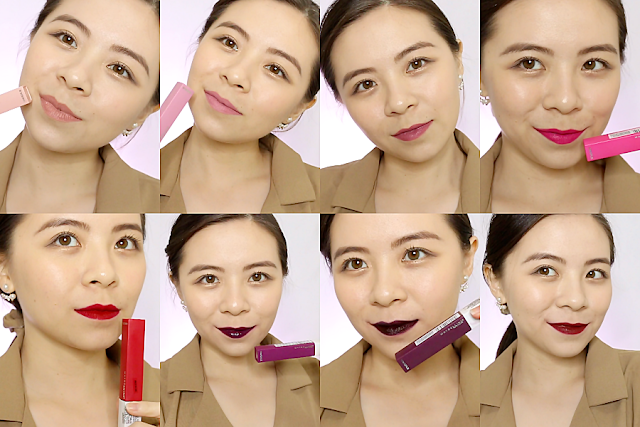 Check out the video below to see more of these Maybelline Super Stay Matte Ink and find out how you can win yourself a full set of these beautiful lippies! I love their applicator. It's precise and holds the right amount for one layer on my lips. It's also pretty flexible, making it easy to smooth the products around comfortable and evenly. The product itself smells heavenly like I've just went into a bakery. 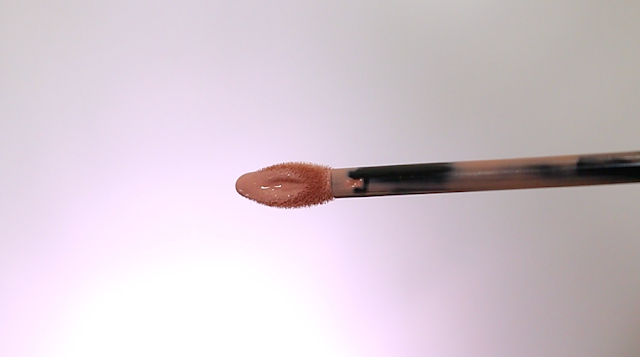 Overall, the colours are pigmented and smooth. 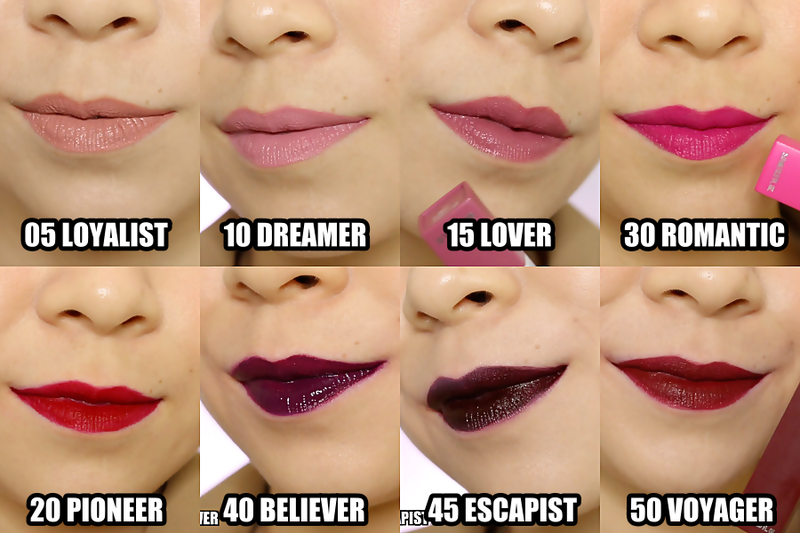 The only one I find rather patchy is the shade 40 Believer. I had a hard time trying to get an even application and I ended up layering over and over at least 3 times, with multiple dips back into the tube for more product. The rest of the colours I didn't need to dip my applicator back into the tube, one layer is enough for an opaque finish. 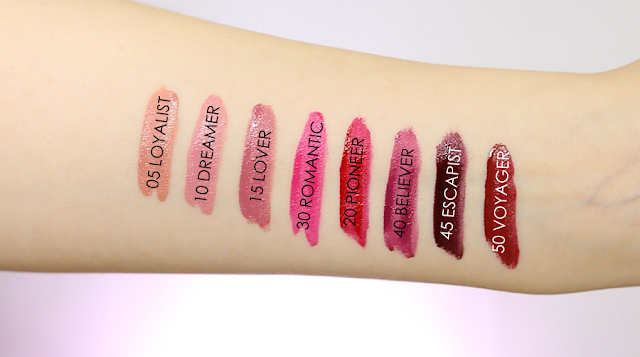 They do dry down matte (cream-ish kinda matte) but you've got to give it some time, most of my swatches here looks wet, that's because they've not dried properly. Once these sets, it's really tough to remove. It clings on your lips so well, making it ultra long lasting even after eating oily food. It's crazy! Overall, these Maybelline Super Stay Matte Ink are amazing liquid lipsticks. Easy to apply, great for liquid lipstick dummies as their formula doesn't dry quick, giving you enough time to get the lip shape and coverage you want before it sets. Shades are pretty, comfortable, and long lasting. Definitely a liquid lipstick that I'll recommend to anyone who wants to try them. 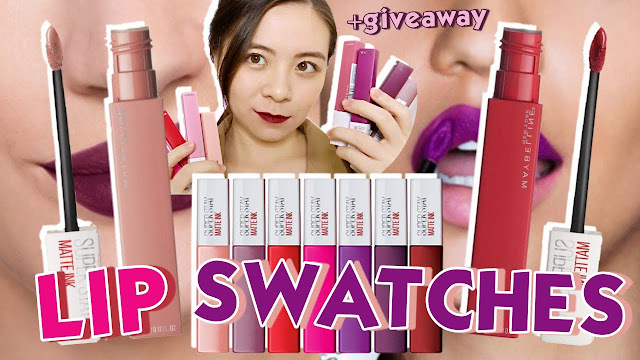 Or win a full set of Maybelline Super Stay Matte Ink from me! Check out the description of my YouTube video to find out how you can participate this giveaway. Ending 1st August 2018! HURRY! 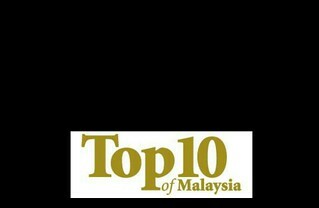 Big thanks to Guardian and Maybelline for providing me these products!